More Girls in Technology-But How? “Over the coming decade, there are expected to be two million more information and communications technology (ICT) jobs than there are professionals to fill them. This is an extraordinary opportunity for girls and young women – in a world where there are over 70 million unemployed young people,” according to ITU Secretary-General, Hamadoun Touré. The UN International Telecommunication Union (ITU) hosted at UNHQ leading persons/institutions in gender empowerment and technology. They debated and sough to define a roadmap for more successful approaches to attract school-age girls to the technology field, and agreed to work together to change attitudes that make this area of study unpopular among young women. (See Blog for Film Regarding Current Efforts - UN Launches Women/Girls Tech Portal). Participants in the debate included the Deputy Executive Director of UN Women, Lakshmi Puri, the Vice President of the European Commission and Commissioner for the Digital Agenda, Neelie Kroes, and the Manager of Global Public Policy for Facebook, Sarah Wynn-Williams, among others. Mr. Touré emphasized the need to cast aside outdated attitudes that are keeping young girls from considering technology as a career option. “ICT careers are not ‘too hard’ for girls. ICT careers are not unfeminine. And ICT careers are certainly not boring. Encouraging girls into the technology industry will create a positive feedback look – in turn creating inspiring new role models for the next generation.” The debate was one of many events organized in more than 70 countries around the world to mark Girls in ICT Day, which is celebrated every year on the fourth Thursday in April. Connectivity, technology and particularly the Internet is key to individual, societal and country economic prosperity – See our Blog for Film - connectivity/internet and prosperity. 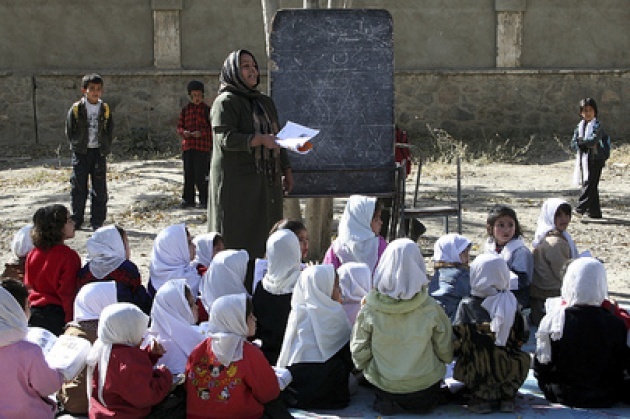 Film Annex and its CEO have engaged in building schools in Afghanistan and most importantly connecting them to the Internet. Diplomatically Incorrect in our popular video blogs “How Freedom Wins - Free Market Place of Ideas” describes the application of the Internet to the free marketplace of ideas, particularly in a country like Afghanistan in overcoming stereotypes. To learn more about entrepreneur, Francesco Rulli, and his Internet initiative and corporate social responsibility program, See: Afghan Development Project. Also see our discussion with Film Annex “Why Education & Internet is Responsive to Society & Womens/Girls’ Needs” – it may not be the answer for all, but it is an initiative that leads to a more comprehensive answer.